The following are short, basic introductory biographies of many of the British Generals who served during the French Revolutionary and Napoleonic Wars 1793-1815. I have also included officers who never attained the rank of general officer in the peninsula but were Placed upon the staff or held the chief command of their department. For those generals who served in Portugal, Spain and the South of France 1808-1814, I have divided their service there into two parts: "Portugal & Spain" which refers to the period July 1808 to April 1809; while "Peninsular War" refers to the period when The Duke of Wellington was the Commander-in-Chief, April 1809 to April 1814. British Army officers seconded to and serving in the Portuguese Service will be included. I have not given the foreign orders awarded to these generals nor have I indicated those who received either the Army Gold Cross or the Army Gold Medal. Officers who were the sons of Peers were styled Honourable in the army lists, etc. 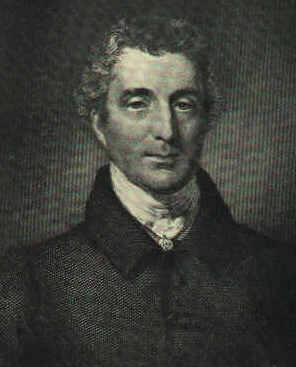 as an example, Honourable Edward Paget, the son of the Earl of Uxbridge. I have not listed all of the battles which the generals were present at. For those who wish to pursue this see: Sir John Fortescue’s A History of the British Army, Sir Charles Oman’s History of the Peninsular War and Wellington's Army 1808-1814, Michael Glover’s The Peninsular War 1807-1814, and Stuart Reid’s Wellington's Army in the Peninsula 1809-1814. I would appreciate receiving any corrections to my errors and omissions or better additional information and will make updates as more information comes to light.